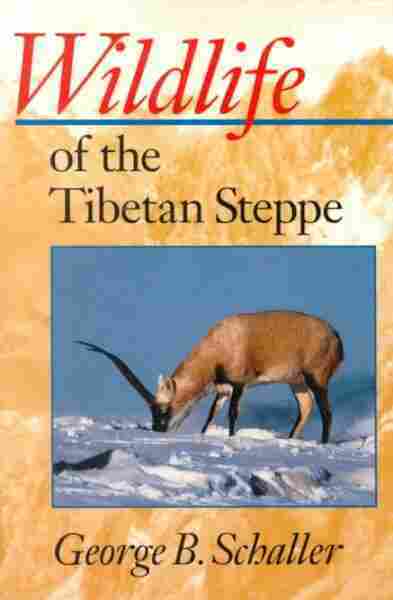 Interviews: Saving the Marco Polo Sheep Some have called George Schaller the globe's greatest living naturalist. He's been tracking and studying the Marco Polo sheep for some 20 years in a quest to create wildlife preserves in some of the world's most dangerous areas along the borders of Afghanistan, China, Tajikistan and Pakistan. Some have called George Schaller the globe's greatest living naturalist. Now a field biologist and vice president for the Wildlife Conservation Society's science and exploration program, he's been working for some 20 years to create international, trans-border wildlife reserves to provide vital corridors for endangered and threatened animal species — particularly the Marco Polo sheep. The species of sheep cling to existence in the mountainous regions along the borders of Pakistan, China, Tajikistan and Afghanistan — particularly an area called the Wakhan Corridor and the Pamir Mountains in far eastern Afghanistan, the meeting place of several of the greatest mountain ranges on Earth. 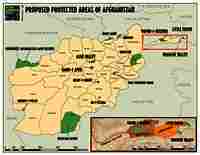 Map of areas proposed as wildlife reserves in Afghanistan. 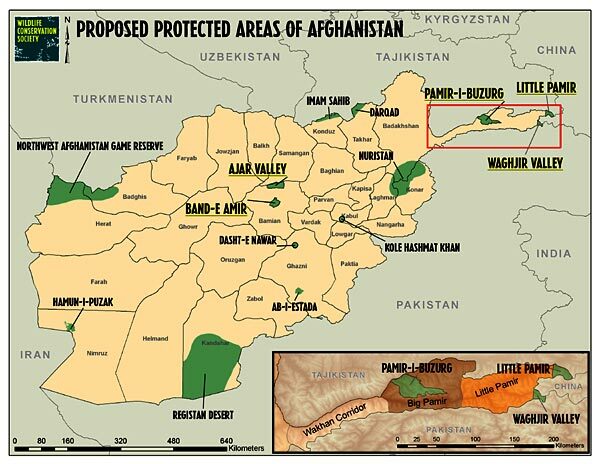 Closeup map of proposed wildlife conservation areas in the Pamir Mountain region. 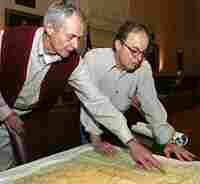 Schaller and NPR's Alex Chadwick consult a map of the Pamir Mountains at the National Geographic Society's headquarters in Washington, D.C.
Alex Chadwick: How did it get the name Pamir, do you know? 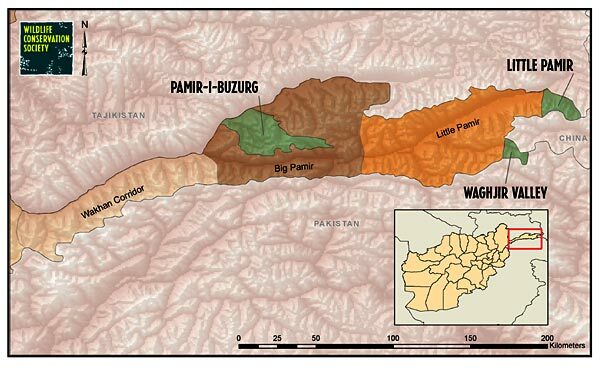 George Schaller: Pamir means "wide open valleys" — rangelands, basically. And the main part of the Pamir is high, rolling hills — 16,000 to 17,000 feet — with broad valleys. And it's the main home of the Marco Polo sheep, which was first described by Marco Polo in 1273. It's a sheep with the longest horns, and the world record — over the curve, it's 75 inches. Therefore it's been an almost mythical animal that trophy hunters and museum hunters wanted. A hunter may pay $20,000 to $25,000 to shoot one. 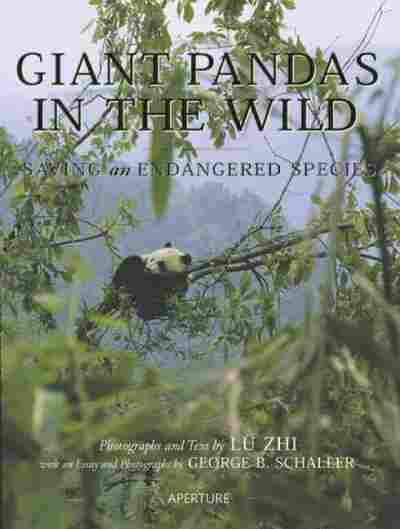 And ideally, that money should go to conservation, and it should go to the local communities. Schaller: No. The local communities, they don't benefit in any real way, which means they don't feel they gain anything from having the Marco Polo sheep. Chadwick: How are things going in this Wakhan Corridor? Schaller: The two critical ones right now are Tajikistan and Afghanistan. We went with a photographer and writer, funded by the National Geographic [Society], to make a survey of the Afghan Marco Polo sheep. 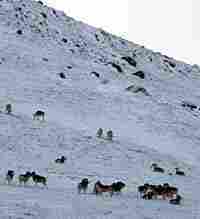 So we spent nearly two months — going by yak mostly, some by horse — up every valley, counting animals. And we saw about 625 total. So there is still a reasonable population which, if protected, will continue to exist. 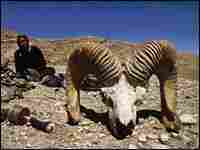 And Tajikistan, now, they, of course, have the most Marco Polo sheep — they have the biggest area. But there has been very little control there. You can buy Marco Polo sheep meat in the restaurants in town. Schaller: Even though it's illegal. The officials hunt. The border guards hunt. The local people hunt for meat. So that will have to change — because numbers, according to everybody, are going down. But, you know, conservation in a final analysis comes down to involving the local people. 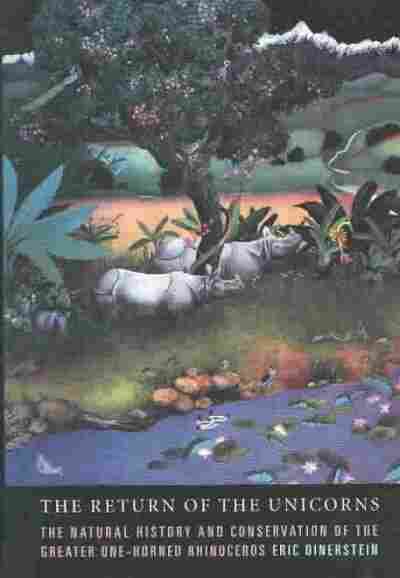 So you want to get some sort of harmony between the local herdsmen and the wildlife and the rangelands. Chadwick: You were successful in getting a park in Pakistan, and the government in Pakistan did put that park there. Is it possible to deal with the Afghan government... in that way? 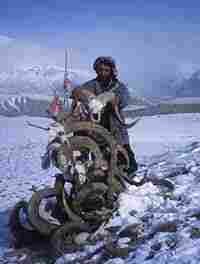 Do they even really have authority over the Wakhan Corridor? Schaller: Afghan[istan] is very interested in conservation. And the Wildlife Conservation Society is planning a major effort there to help. That's one reason I'd like to get all four countries involved together around a table, and discuss trans-frontier issues. Ideally, you would have an International Pamir Peace Park, which simply means that countries share information. They cooperate on some things, like research and education. 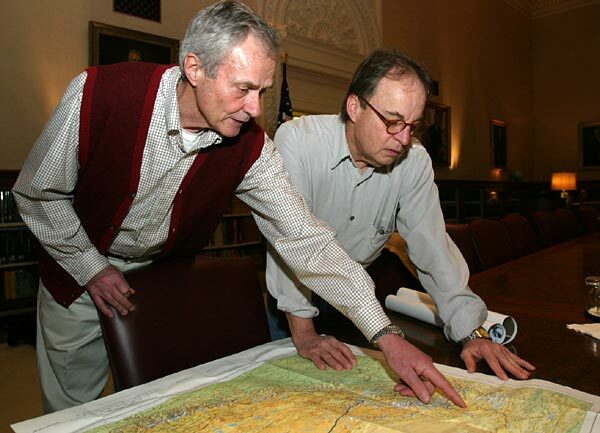 They will discuss where is the best way to set up strict reserves, hunting concessions, managing rangelands — all the different issues that you need to protect landscape for the benefit of the wildlife and the people. China is interested in hosting such a workshop, I hope next September. Chadwick: You mean... September 2006? Chadwick: You're hoping there will be a conference in China — participation from Tajikistan, Afghanistan, Pakistan, and China. Schaller: Right. So right now I'm working at getting the relevant officials to agree to come, and what to discuss. Chadwick: How do you get this issue onto the agenda of the governments of Afghanistan and Pakistan, whose border attentions these days are mostly focused on "Where is Osama bin Laden?" How do you get them to say: "Well, actually, we should be talking about Marco Polo sheep"? Schaller: Every country has officials who are generally concerned about the future of their country. A country doesn't have any future if it doesn't have an environment. So yes, there are officials in Kabul who are definitely interested. There are officials in Tajikistan. China is very concerned. Pakistan is already doing quite a bit in that area. You're dealing with people that actually want to do something, which makes one feel pleasurable. And aside from everything else, it's fun to watch the Marco Polo sheep. They're magnificent animals, the most magnificent of all sheep. And to see them particularly during late November and December during the rut, when the big males get up on their hind legs and run at each other and bash their heads together with a crack that you can hear nearly a mile away... I think the actions between these animals is just enjoyable to see. That's the main reason I went into wildlife. Chadwick: Because you like it. Schaller: Because I like it. And I like mountains. But, you know, no scientist can really just go and study something. I think you have a moral responsibility, if you want to call it that, to try to help protect what you study. That's the difficult part. Chadwick: Wouldn't some scientists say: "Actually, you shouldn't be involved that way"? The role of a pure scientist... is to just study, to gather research, to gather data. Schaller: I don't think there is such a thing as a pure scientist. You can't sit and watch an animal and stay completely objective. You automatically get emotionally involved. In fact, you should. I couldn't think of anything more dreadful than a pure scientist who isn't emotionally involved in what he or she does. So conservation is usually not fun, because social problems, economic problems, political problems — but it's essential to do if you want to help the animals. So you have all these little problems that ultimately will resolve themselves. Chadwick: George, you're such an optimist. Schaller: Well, we have to be. I find it very distressing to be an optimist, but I'm ever hopeful. Hope always transcends experience... You know, in conservation, the only way you ever get anything done is to focus on something and work at it. Okay, you win a few, you lose a few. But more often than not, you actually do accomplish something.